Now Available at TOPS - Valu Time! For the best savings every day, you can count on Valu Time products. Save up to 40% compared to the leading national brands. 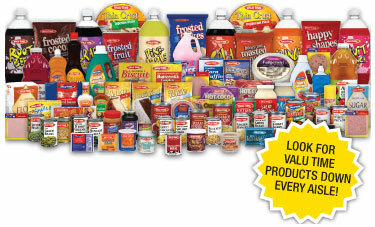 Valu Time offers a huge selection of over 200 everyday products like food, beverages and household items - all at the best prices in town. Click here to view the weekly ad. TOPS All Natural Antibiotic-Free Angus Beef! Look for the Full Circle label at your local TOPS today! Click Here for Grilling Techniques (opens in new window) and Cooking Tips! Your TOPS Friendly Markets has been partnering with suppliers and growers to deliver TOP quality, GREAT-tasting products that we Guarantee to Please. TOPS items are available throughout TOPS Friendly Markets, in Grocery, Dairy, Frozen, and Meat, to provide a savings over the comparable national brands. We continually strive to give our customers MORE. Try the TOPS family of items and see why so many consumers are turning to TOPS - MORE great taste, MORE SAVINGS, MORE for YOU! At TOPS we believe our pets are nothing short of being part of our family. That's why we offer our customers the PAWS Premium line of Pet Care products. 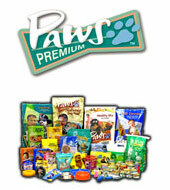 The Paws product portfolio features high-quality pet foods, treats, toys and accessories. Our PAWS Premium Pet Care line of Dog and Cat foods are all prepared to be 100% balanced and complete to meet your dog's or cat's needs across all life stages. PAWS give you MORE! MORE Love, because we just Love pets. MORE Taste and Quality, because that's what we are all about and we Guarantee It! MORE Savings, because at TOPS our brands are priced to Save you MORE every day! Tops Friendly markets offers our responsible consumers a quality Health and Beauty line of products for your entire family. Our Top Care items offer MORE than just quality and safety, but reaching for Top Care will Save you MORE. Feel confident and secure knowing you are selecting a trusted brand that is safe, reliable, thoroughly tested, with a head-to-toe variety of products to meet your family's needs. Join the other TOPS satisfied consumers who choose this trusted brand time and time again for MORE Quality and MORE Value. 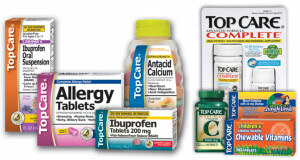 Look Better, Feel Better - the Choice is Simple to save you MORE - It's Guaranteed by TOPS Marketplace! TOPS Markets is proud of its TOPS® brand and all its associates and customers that have come to associate that brand with a high quality of supermarket services and great grocery values. The TOPS brand originated in 1962, when Alfonse DiMino suggested the name TOPS and the team chose that name because they were determined to give customers the best shopping experience possible. In the lingo of the 60's, that meant it was 'tops'. From our humble beginnings, TOPS Markets has grown to more than 160 full-service supermarkets spanning Western and Northern NY, Northern Pennsylvania, and Western Vermont, employing more than 16,000 associates. Because of this growth, millions of dollars have been pumped into local communities and thousands of jobs have been created - all because of the success of a local grocery store and the passion of the people who believe in TOPS' success. For years shoppers sang along with our well-known TOPS NEVER STOPS jingle, and today Tops shoppers still know that TOPS NEVER STOPS® means great selection and service! As Tops Celebrates 50 years of outstanding service and great values, we also celebrate these names and brands that our shoppers recognize and associate with Tops. 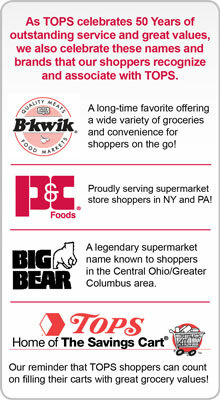 B-Kwik - A long-time favorite offering a wide variety of groceries and convenience for shoppers on the go! P & C Foods - Proudly serving supermarket store shoppers in NY and PA!